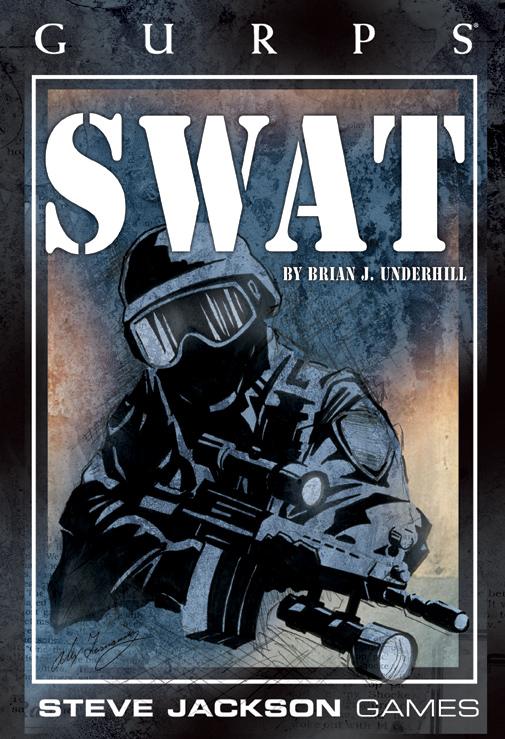 From small-town crisis units to the FBI's Hostage Rescue Team, from the urban sprawl of Berlin to the mountainous wilds of Idaho, GURPS SWAT covers the dangerous world of tactical police operations. Serve a warrant on a meth lab, protect a judge whose life is threatened, rescue hostages from international terrorists, or take down a barricaded suspect before he kills again! Establish perimeters and begin hostage negotiations. Perform a stealth entry if you can, or blow down the door in a swift dynamic assault! A look into the formation of tactical teams, including the original LAPD SWAT. Details on SWAT around the world, including major United States cities, federal teams, and tactical teams. An overview of SWAT operations, from high-risk warrant service to hostage rescue. A look at the weapons and equipment of the modern-day SWAT team. Tips for running realistic or cinematic SWAT, Cops, or crossover campaigns. The lives of innocent hostages are at stake. Do you have what it takes to be the best of the best? Put on your armor, grab your weapon, and find out . . .
GURPS Cops – An in-depth look at the world of the police officer.